It is always nice to play with new textures such as Akemi that are actively introducing the cartoon style in Minecraft BE. Someone thinks this appearance only spoils the gameplay but it is not. 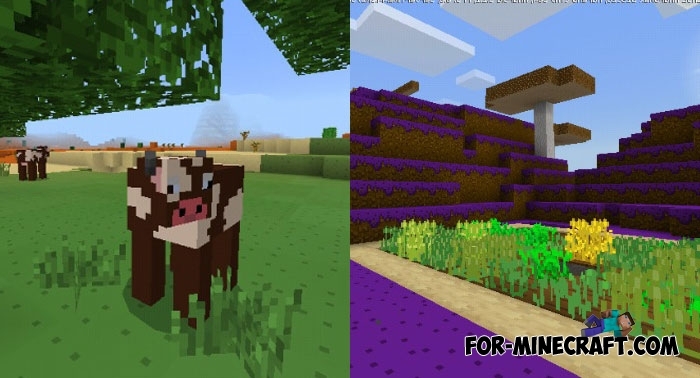 The basic concept of this texture pack is aimed at quiet, joyful survival without unnecessary problems and nervous tension. That is, every day you are engaged in the resource extraction, fishing or hunting and do not think about anything that soothes irritated people. In fact, any type of player will love the Akemi pack, even those who are not enthusiastic about the cartoon look and solid texture gradient. 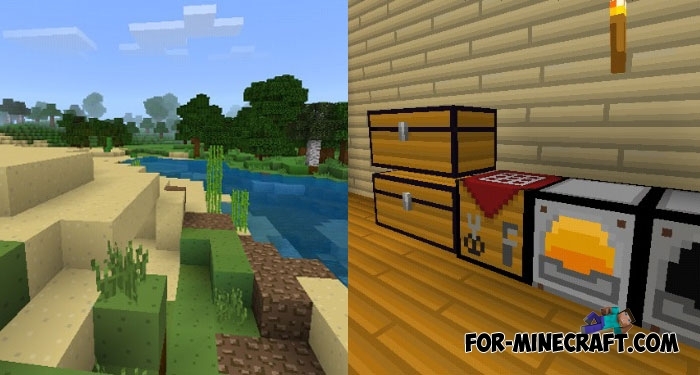 Minimum details and excellent compatibility with any version of the game including the latest Minecraft Bedrock Edition 1.9 beta. How to install the Akemi texture pack?